The Premier League gears up for a photo finish in the race for a top four spot, with three points separating four sides with six games to play. Arsenal, Chelsea and Manchester United have been trading places for a number of weeks, particularly after Ole Gunnar Solskjaer’s stunning start at Old Trafford, while Tottenham’s nosedive in form has seen them sucked in. The points haul of Arsenal and Chelsea is improved on this time last year under new managers but each of the quadruplet has a flaw the others hope can be exploited. Sportsmail looks at where they need to be wary. Victory over Crystal Palace stopped the rot after four defeats from their last five and there is hope they can capitalise on four of the remaining six being at their spanking new stadium. Mauricio Pochettino has suffered with injuries. Eric Dier has started just one game since December – the recent 2-1 defeat at Southampton – and their midfield has looked threadbare at times given Mousa Dembele was sold without signing a replacement. 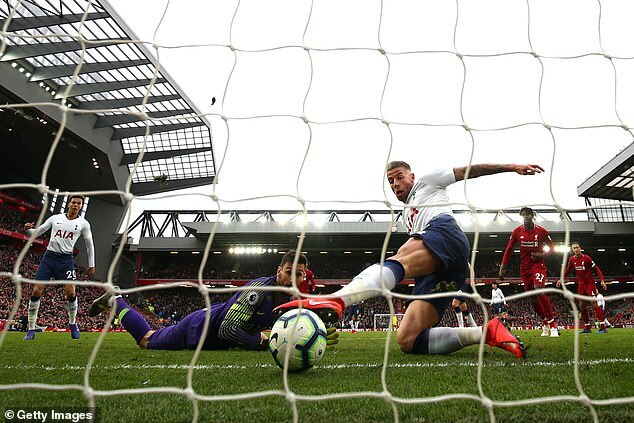 The form of Hugo Lloris is causing consternation and his gaffe during those critical final moments at Liverpool will not fill Spurs supporters with a great deal of confidence ahead of some pressure games. They’ve conceded just two fewer goals (34) now than in the entirety of last season, with full back a problem area and their spine looking generally weaker. It’s the away form. Unai Emery has only 19 points from 15 matches – with Arsenal touching the bottom half in the away table – and that they still have four to play on the road is a major worry. That those matches are at Watford, Wolves, Leicester and a resurgent Burnley only further amplifies that concern. 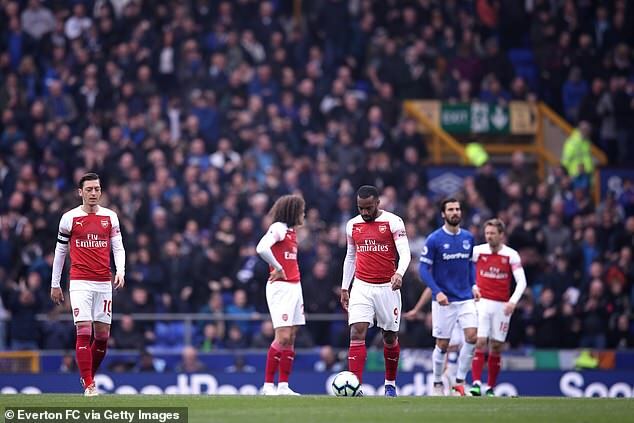 The Gunners are the only top-flight team to have failed to keep a clean sheet in any of their away fixtures and this is an incredibly tough-looking run-in. Only one win away since November, too, and that came at relegated Huddersfield Town. Emery, though, is not panicking. ‘After the Everton result we can be negative because three points less (to be won) but it is in our hands to continue taking chances to be in the top four,’ he said. 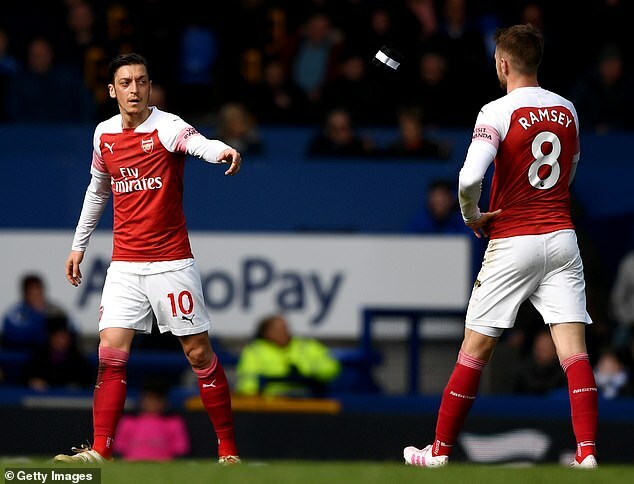 Behind Arsenal by virtue of their goal difference being four goals weaker, Chelsea’s campaign has been engulfed by criticism of Maurizio Sarri. Damaging defeats have interspersed since January, and it could have been worse but for the controversial win away at Cardiff last month. Sarri has been perfectly clear about the issues he believes inflict his team. That good performances can immediately be followed by rank average displays is a mental problem, according to the Italian. To his credit, he has not shirked the talking points during his first season in England but it is striking that mental fragility has so often become a theme when discussing results. Sarri team have scored fewer goals (55) than any other team in the top six and key players, including Eden Hazard, seem to have been restricted by the style of play. The manager is also disgruntled by a lack of flexibility to the Premier League’s fixture schedule, with Chelsea still in the Europa League. Solskjaer believes United need to win five of their remaining six games to finish in the top four. Qualification was in their hands before defeats away at Arsenal and Wolves. Losing at Molineux in the FA Cup makes that just one win in four in all competitions. That the Norwegian has United fighting for a Champions League spot remains nothing short of incredible, given the standing start he was delivered in December, but performances have been a worry of late. 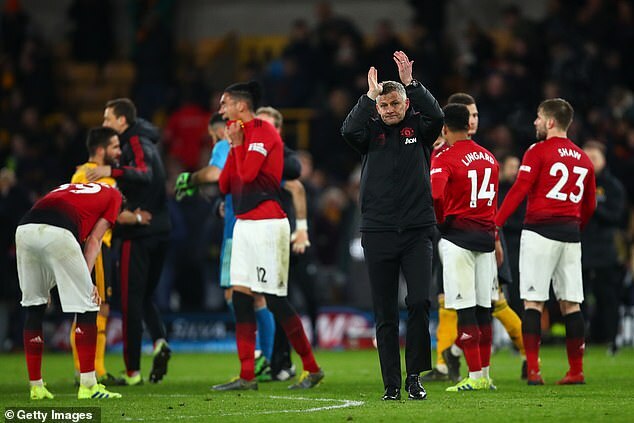 They have lacked the sort of control that was becoming second nature under Solskjaer and that was certainly evident at Wolves last week. The midfield has lacked authority in recent weeks. Full back looks an area West Ham can target this weekend, with both Luke Shaw and Ashley Young suspended. Marcos Rojo, who has played just once since December, might be called upon.